Heading to #ADAF2018 have a glimpse at the catalogue of our last edition and go back to the #PostFuture! Athens Digital Arts Festival (ADAF) successfully completed its 13th edition that took place from 18 to 21 of May at a venue of very interesting architectural perspective, at 23 Mitropoleos Street, by courtesy of “NBG PANGAEA REIC” in support of ADAF. 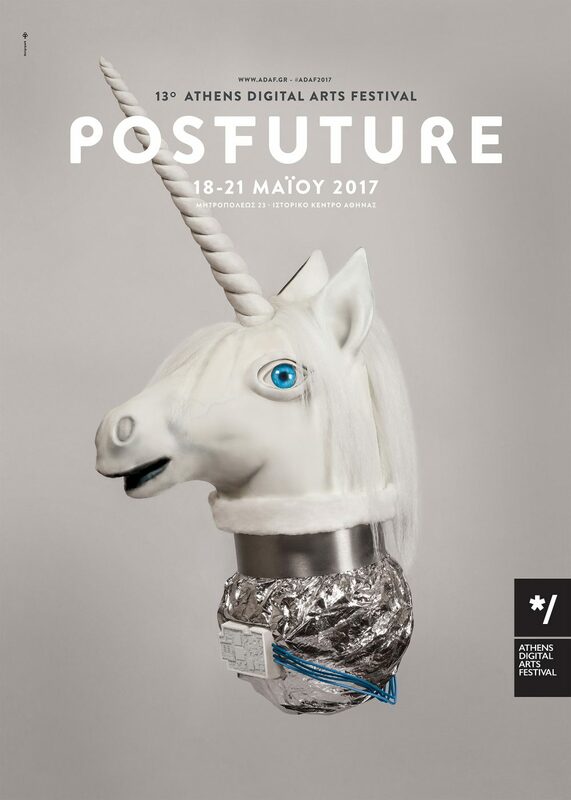 More than 250 artists from 22 countries submitted their view regarding the theme of the Festival, #PostFuture. For four days, #ADAF2017 invited the audience to imagine the future, offering a unique experience. This year’s edition explored the ways that technological advancements influence art and the everyday life, under the constant question, if the future is already here then what has to follow? In this framework, the Festival presented interactive installations, web art, digital image, video art and animation screenings, presentations of international festivals and audiovisual performances. Moreover, the audience had the chance to engage with the international artistic scene at the Artsits Corner and the rooftop of the Festival, as well as to familiarize with digital culture and its representatives through talks.